If you’re looking for some useful tips and advice that can help you when you are starting up an alarm systems company, then this guide will reveal a few important things you’ll want to keep in mind when you’re just starting out. First of all, it’s always a good idea to plan your new business by researching the competition so you know more about the companies you will be competing within your local area. 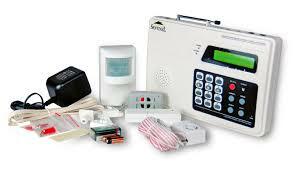 Starting in your local area may be the best thing to do when you are planning to set up an alarm systems company, so knowing who you are going up against is a great place to begin. In general, it’s a good idea to understand their products and services, as well as how they are generally marketing themselves. By taking this simple step, you’ll be able to avoid many mistakes because you’ll get a better sense of what works and what doesn’t. Additionally, you need to make sure you are registered with any necessary licensing and certification requirements of your area. 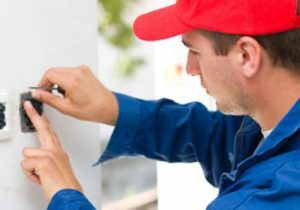 Working in the security industry can mean there are a variety of background checks involved, and the alarm systems will need to be fitted to a professional standard, and the requirements of this can vary depending on where you live. It’s also wise to take a closer look at some of the different insurance options that are available for your company because you will almost certainly want some degree of liability insurance if you’re going to be working in people’s homes. Furthermore, working in home security may mean you need additional insurance in place, so it’s wise to do some research and get some recommendations about what you need. No matter what kind of business you are starting, you will need a solid business plan in place before you get going. Not only can a quality business plan make it easier to secure outside financing and bank loans, but it also gives you a firm plan of action that you can follow, and this will ultimately allow you to have a working system in place and prove to investors (and yourself) that your business has a chance of working. This business plan should cover key subjects such as the overall goal of your business, the costs that are going to be associated with it, how you’re going to advertise and market, and what the daily operations are likely to entail. It’s also wise to cover any equipment you’ll need to invest in as well as what employee requirements you may have. Once you have all these details in place, then you’ll be able to secure start-up funding with much greater ease, and the initial cash injection for your business will often be the key to getting off the ground in a positive way. 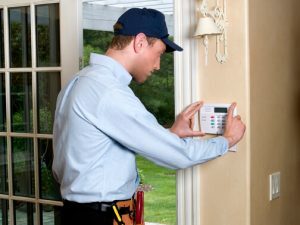 In summary, starting up an alarm systems company can be a very profitable thing to do and it can also be very rewarding, so if you keep these tips in mind, you should be able to get yourself off to a great start in this industry.